World’s No.2 miner Rio Tinto (ASX, LON, NYSE:RIO) said Tuesday it will likely have to delay first production from the $5.3 billion underground expansion of its Oyu Tolgoi copper-gold-silver mine in Mongolia, originally scheduled for early 2020. Delivering third-quarter results, the miner said that while capital costs for the project remained in line with the overall budget, shaft-sinking challenges were “ultimately expected to result in a revised ramp-up schedule”. Analyst at BMO Capital Markets said in a note to investors they expected Rio Tinto to achieve first sustainable production at the new section of Oyu Tolgoi not earlier than in the third quarter of 2021. They also said the delay would hit the mine's free cash flow by about $1 billion between now and 2024, with about $340 million being attributable to Rio Tinto. The company holds a 66% stake in the mine throughTurquoise Hill and the Mongolia’s government holds the remainder. Turquoise Hill (TSE, NSYE: TRQ), the Rio-controlled company that owns 66 percent of the project, confirmed Tuesday that sustainable production at Oyu Tolgoi would be achieved by the end of the third quarter of 2021, rather than in early 2021. The company attributed the nine-month holdup to challenging ground conditions and delays in the completion of Shaft 2. First production from the $5.3 billion underground expansion of Oyu Tolgoie achieved by the end of the third quarter of 2021, rather than in early 2021. 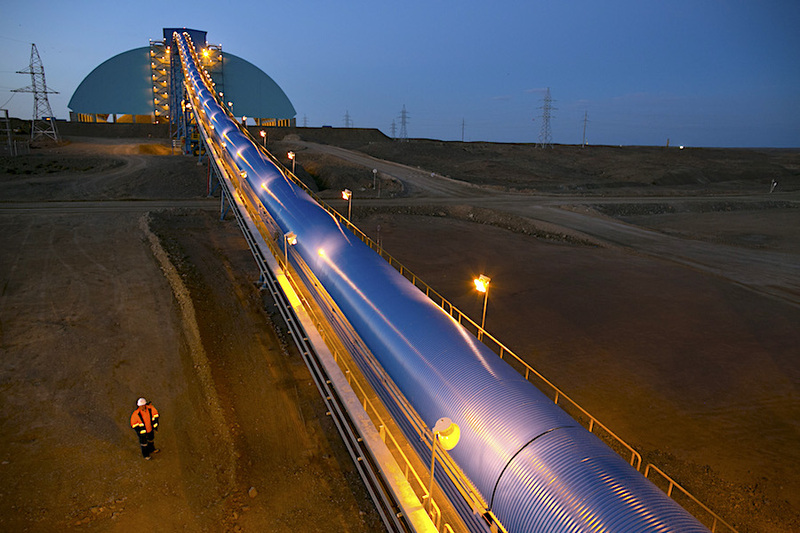 Until the completion of Shaft 2, Oyu Tolgoi would experience similar, but not increased, development rates as seen in the third quarter, Turquoise Hill said. Rio has recently stepped up efforts to find new copper deposits worth of being developed into mines. The company’s board of directors approved the underground expansion of the massive Mongolian mine in the Gobi desert two years ago, but progress earlier this year was very slow due to a series of disagreements between Rio and the country’s government, including differences over taxes owed and a power contract. Oyu Tolgoi was discovered in 2001 and Rio gained control of it in 2012. Once finished, the extension is expected to lift the mine’s production from 125–150kt this year to 560kt of copper concentrate at full tilt from 2025, making it the biggest new copper mine to come on stream in several years.